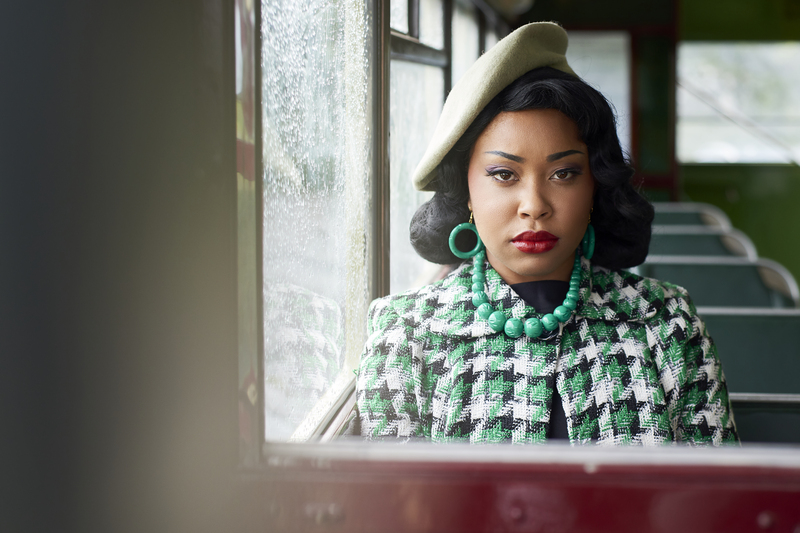 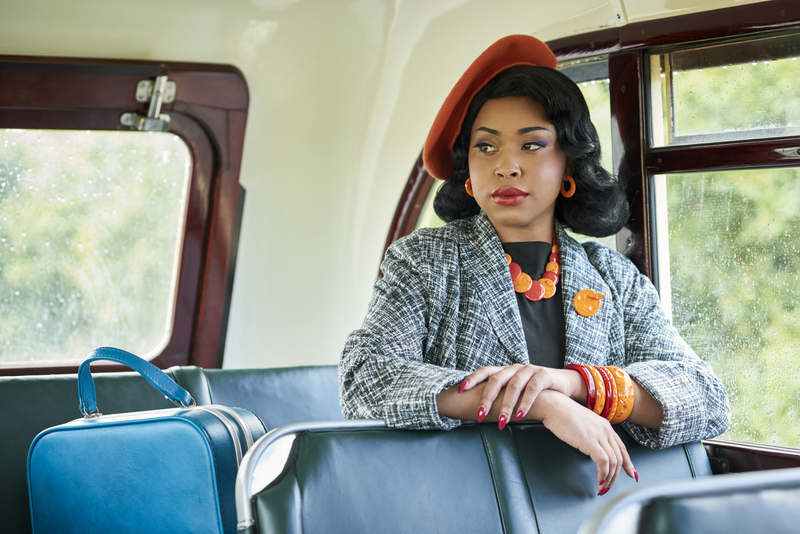 Whilst on set (1940s bus in the middle of no where) it really struck a cord it had me thinking about Rosa Parks and her courageous move in 1955 when she refused to give up her seat to a white man on a Montgomery, Alabama…. 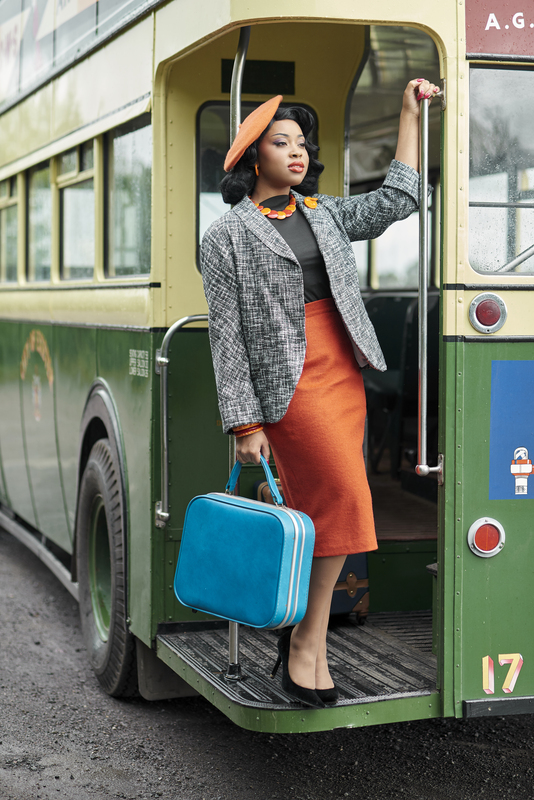 As much as I am a big fan of the clothing in that era 1955 this was a pivotal moment in black history too. 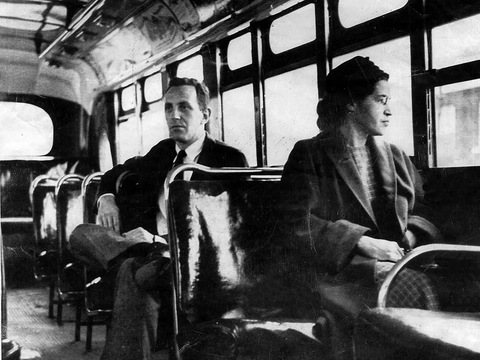 Thank you Rosa Parks for helping to pave the way for us… We still have along way to go but its heros and heroin like yourself that got us this far. 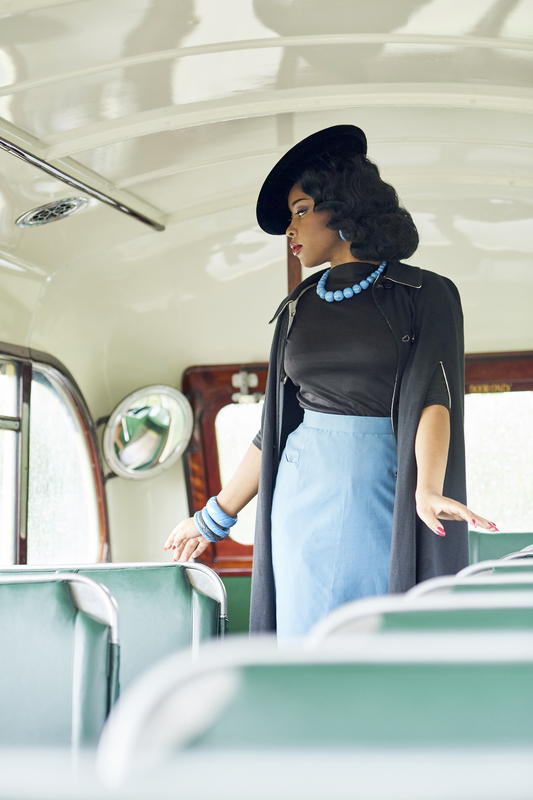 Photo by Jimmy image in collaboration with splendette accessories .